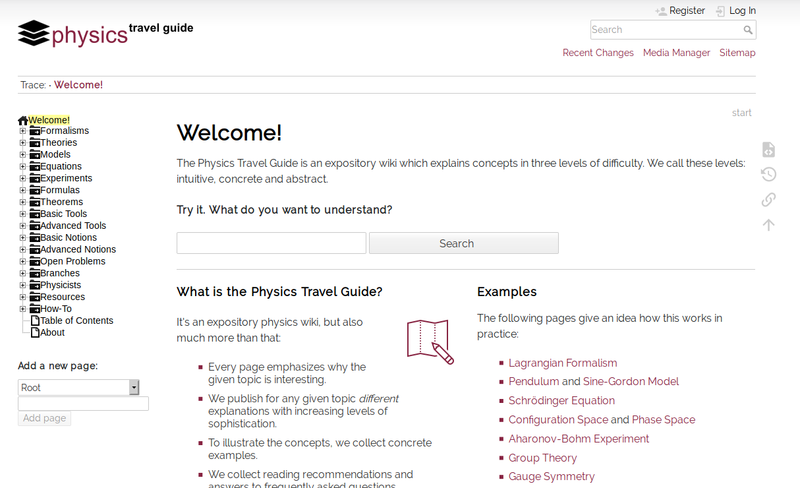 "The Physics Travel Guide is a tool that makes learning physics easier. Each page here contains three layers which contain explanations with increasing level of sophistication. We call these layers: intuitive, concrete and abstract. 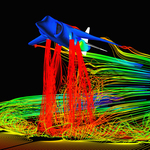 These layers make sure that everyone can find an understandable explanation." Its purpose is strikingly similar to this forum. I love it. Students who prefer to learn at their own pace and want to know more than is taught in the lectures. Lecturers and teachers who search for inspiration of how to explain things better. Researchers who want to learn new topics more quickly. Interested laypersons who search for explanations that everyone can understand."